ANAHEIM, Calif. — They drove south from Lubbock for nearly two hours, zipping past an occasional small town and miles of sun-browned countryside. Only when they were as far removed from civilization as possible did their bus turn off Highway 137 and pull up to their destination. Before official practices began last October, Texas Tech basketball coach Chris Beard took his team to a sparsely populated part of West Texas for a weekend retreat at a ranch that typically hosts Baptist church camps. Beard had organized similar preseason retreats for previous teams he had coached, but this one took on greater importance because of the Red Raiders’ ambitions and roster makeup this season. Six of Texas Tech’s eight leading scorers from the 2017-18 season had either exhausted their eligibility or entered the NBA draft after helping the Red Raiders reach their first Elite Eight in program history. As a result, the group of players tasked with maintaining the standard set by the previous year’s team featured almost as many new faces as familiar ones. When they’re asked to explain how an eclectic collection of unheralded recruits, foreign imports and graduate transfers came together to take Texas Tech to its first Final Four, the Red Raiders point to their transformative weekend at the Circle Six Ranch as a launching point. They arrived as little more than acquaintances in some cases and left viewing one another as family. Since forging connections was the purpose of the retreat, the ranch’s isolated location was key. There were no other people for miles, nor did players have any other way to communicate with friends or family back home. Each player surrendered his cell phone to Beard when he got off the bus, leaving little else to do but to talk to one another. In one group activity, coaches put players together in pairs, assigned them a couple of questions to ask as conversation starters and sent them away to have a one-on-one talk. After 15 minutes elapsed, players had to share with the rest of their teammates what they learned about their partners. They discovered that South Dakota graduate transfer Matt Mooney yearned for a chance to prove himself in a power conference and play in the NCAA tournament after only one Division I school offered him a scholarship during high school. And that St. John’s graduate transfer Owens came to Texas Tech because he was impressed with Beard’s track record of winning and player development, both of which he thought could help him carve out a pro career. 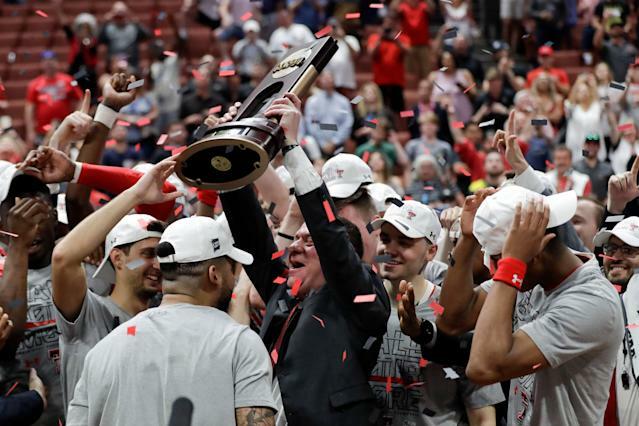 If there was one message the Texas Tech staff tried to deliver during the retreat, it was that they didn’t want the satisfaction of the previous year’s Elite Eight run to bleed over into this season. To continue their ascent, the Red Raiders had to play with the same urgency, the same work ethic, the same selflessness. As a way of underscoring that message, Beard asked every player, coach and staffer to commit to giving up a guilty pleasure until the season ended. For leading scorer Jarrett Culver, it’s soda. For assistant coach Mark Adams, it’s fried food and ice cream. “Somehow I’m still gaining weight,” Adams joked. Texas Tech returned home from its trip to Circle Six Ranch a closer team, but the true barometer of the retreat’s impact wouldn’t come until the season began. Would the Red Raiders defend cohesively or would they defend like they had just met a few weeks earlier? Would they each try to get their own numbers on offense or would they willingly pass up a good shot to get a teammate a great one? Much to Beard’s delight, the bond his Texas Tech players forged with one another at the ranch carried over onto the floor. That camaraderie is one of the biggest reasons the Red Raiders have amassed 30 wins, captured a share of the Big 12 title and toppled the likes of Michigan and Gonzaga to secure a spot in the Final Four. While Texas Tech’s chemistry shows in how the Red Raiders go out to eat as a team or race over to help up a teammate knocked to the floor, it’s most evident in how Beard’s team defends. A huge reason Texas Tech is the best defensive team in the nation is the way the Red Raiders seamlessly rotate and communicate on help defense. As Texas Tech prepares to meet Michigan State in its first Final Four game in program history, it’s worth tracing the moments that sparked the Red Raiders’ rise from afterthoughts to national relevance. There’s Beard’s decision to leave UNLV after 19 days to become the head coach of a program more near and dear to him. There’s Culver signing with his hometown school, giving Texas Tech a young star around which to build. There’s the addition of grad transfers Mooney and Owens, maybe the two most vital members of Culver’s supporting cast. And there’s Texas Tech’s two-day retreat to a ranch in the middle of the West Texas countryside, a trip that transformed a loosely connected group of basketball players into a tightly bonded team capable of making history.